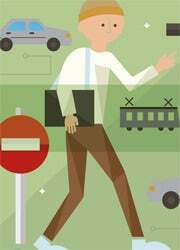 Of course, if you’re a public-transit rider, you have your own set of headaches. When will the bus come? Is the subway broken? NextBus has a fantastic website that’s also optimized for use in a mobile browser, and it gives updated arrival times for transit lines in 31 regions of the United States and Canada. No download required--just go straight to nextbus.com in your phone’s mobile browser. It even uses your phone’s GPS function to locate the nearest bus stops. When you do get on the bus, you might wish to pass some time chatting with your friends. The Imo app for iOS and Android syncs with your contacts on AIM, Facebook chat, Google Talk, MSN, and more, and is an easy way to keep in contact with people on lots of instant messenger services. If voice messages are more your style, Voxer for Android and iOS lets you send audio messages over a data signal, so you don’t waste precious voice minutes on short calls. Another great Android and iOS app to check before you leave the house is WeatherBug, which gives you all the standard weather-app fare but also updates information based on your location. For other news, check out Zite (for Android, iOS, and WebOS), which builds you a personalized magazine based on topics of your choosing, or on what you’ve clicked through your Twitter account. 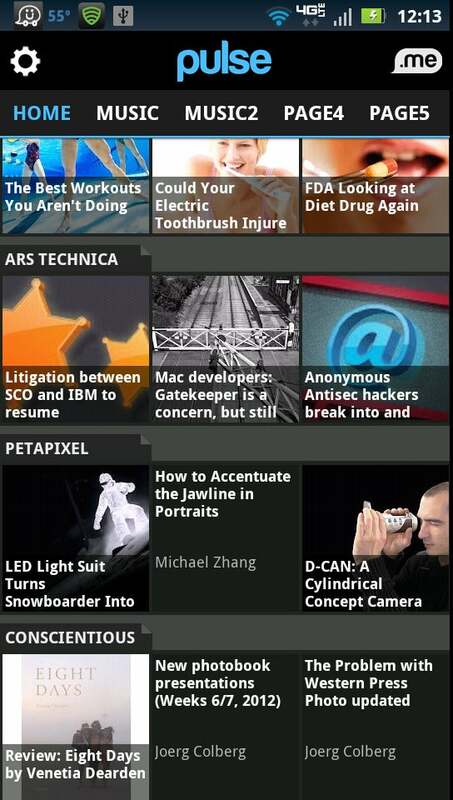 Pulse is another beautiful resource for current news if you have an iOS device or an Android phone. This app gathers streams from many of your favorite websites based on category, and then updates the stories in each stream every time you open the app. Reading stories on Pulse means you don’t have to deal with annoying ads or the sometimes awful layout of websites not optimized for mobile browsers. If you spend a lot of time sending text messages from your Android phone on your commute (not while you drive, of course), you may want to back up those text messages on your phone’s external SD Card so that you don’t lose them and can take them with you to your next phone. SMS Backup and Restore will do the job easily, and doesn’t require you to root your phone. If you want to send a file to your Android phone from your computer before you run out the door, use the Software Data Cable app to transfer a file without a USB cable; note, however, that you will need an FTP client to transfer files over the wireless network you’re connected to. Finally, no commuter who uses his or her phone heavily should be without a security app. Lookout Mobile Security is a highly trusted name in mobile malware protection for iOS and Android devices, and if you’re an Android user you can use the app to remotely lock and wipe your phone if it is lost or stolen. 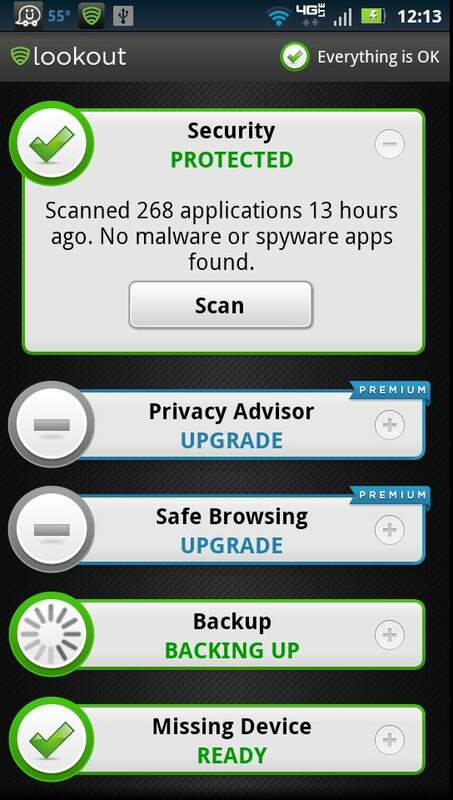 Lookout can back up data and scan your device for malware automatically, too.